TORONTO, Aug. 9, 2012 /CNW/ - One customer at a time since 1962, Shoppers Drug Mart has become a trusted retailer and go-to advisor for Canadians from coast to coast - the anchor of the city block, the main street, and the shopping mall. 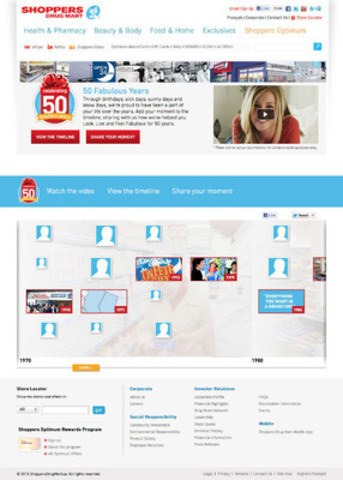 Now, in the lead-up to its landmark 50th Anniversary in September, the Company invites Canadians to join the party by submitting their own Shoppers Drug Mart moments via the interactive "50 Fabulous Years" digital hub launching on August 13, 2012. 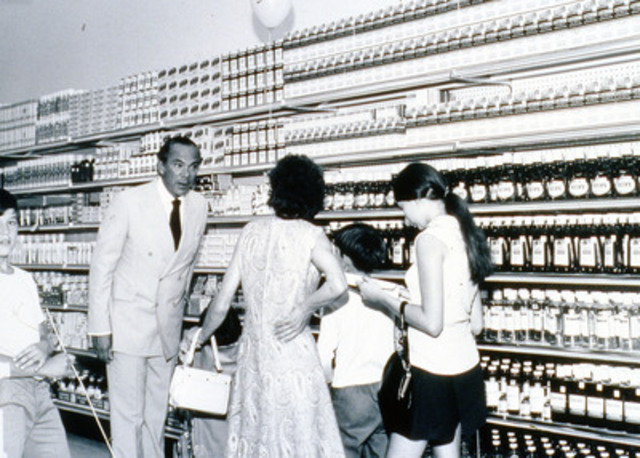 The customized online portal allows Canadians to share the moments when Shoppers Drug Mart was there for them and their families over the last five decades. 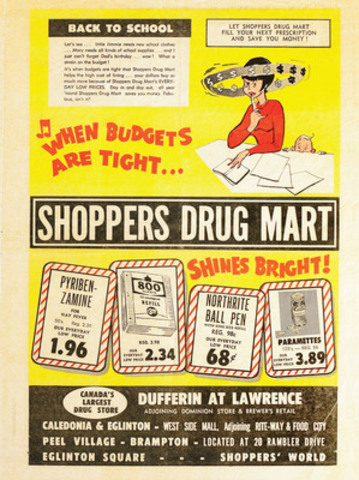 The digital component is easily accessible from the Shoppers Drug Mart website and will feature real-time sharing of individual 'moments' integrated with the Company's key milestones spanning the 1960s through the 2000s. Canadians can share their moments from August 13 through September 23. 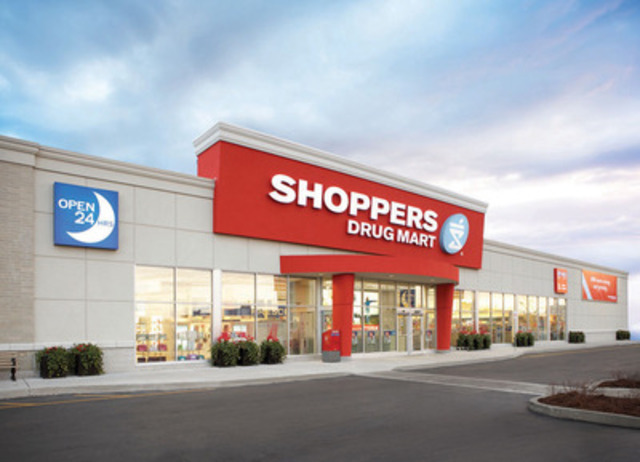 "With this new digital initiative, Canadians can join the celebration and share experiences that have helped make Shoppers Drug Mart a leading destination for their health, beauty and convenience needs," says Sandra Sanderson, Senior Vice-President, Marketing, Shoppers Drug Mart. 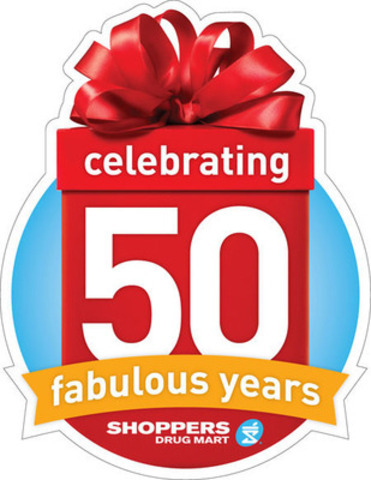 "We look forward to hearing about the many ways Shoppers Drug Mart has helped Canadians look, live and feel fabulous over the past 50 years." National Makeover Weekend, September 8 & 9: Canadians are invited to receive a complimentary makeover at participating Shoppers Drug Mart and Pharmaprix stores across Canada, by booking an appointment for a celebratory 'red' or 'gold' anniversary beauty look. Quo Cosmetics Anniversary Collection: Canada's first private label cosmetic brand, Quo, unveils a limited-edition collection featuring a gorgeous, anniversary-themed beauty palette and a commemorative 10-brush set (available starting September 8), as well as six celebratory Quo by ORLY Glitter FX nail polish shades (available September 18).